Key Points from an article published in Issue 2, Volume 22 (2018) of the National Association of EMS Physician’s Journal: Prehospital Emergency Care regarding the safety concerns of first responders on scene of an Opioid Overdose. This article focuses on the specific risks and dangers poised by inadvertent absorption of “ultra-potent opioids” during patient care. Anecdotal reports of first responders affected by accidental opioid exposure during patient care have not been confirmed by any evidence based authority. Vigilant scene assessment, universal precautions and standard PPE are sufficient to protect first responders on standard overdose scenes. 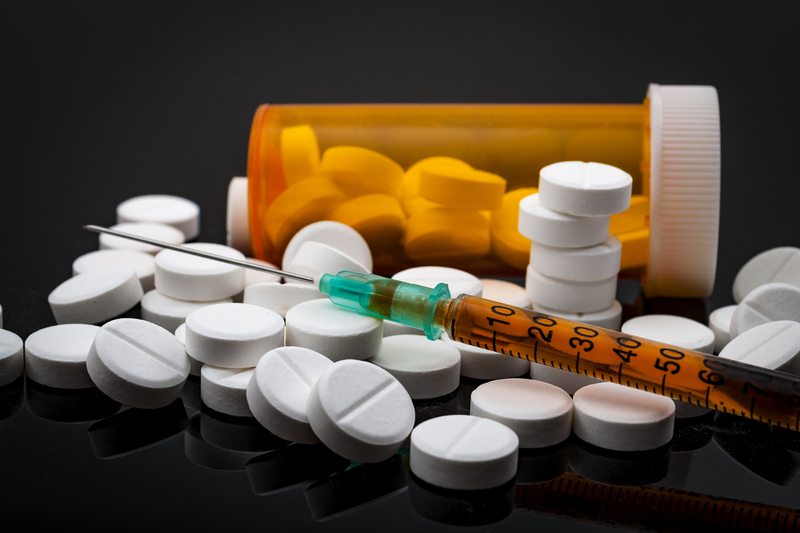 CDC: Overdose deaths have reached epidemic proportions in the US. Fentanyl related deaths are surpassing heroin deaths. DEA has identified 15 synthetic opioids, 9 of which were reported for the first time in 2016. Primarily injected or ingested through mucous membranes. Absorption through the skin requires pharmaceutical mechanism to achieve meaningful systematic levels. Small studies of occupational exposure have shown clinically insignificant levels of fentanyl during prolonged exposure. Absorption is through the hands and distal forearms. Carfentanil and other synthetic opioid data is lacking. Copious water and soap should be used to clean suspected contamination. Ethanol based hand sanitizers may cause increased transdermal absorption. Incidental mucous membrane exposure is unlikely. Two types of exposures for first responders. Healthcare response to a presumed overdose. Scene assessment, specifically for drug evidence and paraphernalia is recommended. Powdered or packaged drugs should not be handled or disrupted by responders. Do not attempt to identify the substance by touching or tasting the materials. If unidentified powder is found providers should exit the scene as soon as it is reasonably safe. Powder without evidence of disruption or airborne particles should not prevent access, treatment and removal of victim. Universal precautions (gloves, long sleeves, pants, particulate masks) should be utilized. There is no published data regarding first responder safety. Single pair of nitrile gloves are recommended to prevent absorption of fentanyl if there is no evidence of visible powder. Gloves should be removed and properly disposed of after contact with potential opioids. Masks are not necessary for routine overdose care. Medical care is not expected to result in airborne drug particles. If masks are used a standard surgical mask should be sufficient, an N-95 is also effective at providing a more complete seal. Clothing should provide an effective barrier to direct skin contact. If clothing is contaminated it should cleaned with a disinfectant wipe applied by a gloved hand. Contaminated clothing should be changed and laundered at the first opportunity. Full body and face cover may be required in environments with significant risk of airborne particles (manufacturing plants, weaponized deployment, known disturbance of powder). Victims should be removed and treated in a safe location. Hazardous Materials Teams may be needed. Disturbing powder or other substances on scene are to be avoided. Naloxone is still the appropriate therapy. Primary risk is respiratory depression. Assisted ventilation should be initiated at the earliest opportunity and should not be delayed for naloxone delivery or while awaiting a naloxone response. Ventilation devices will not result in secondary provider toxicity. Cardiac monitoring, pulse oximetry and nasal capnography should be applied when available. Plans should be in place to manage potential responder exposure. Providers should work in pairs, assistance should be requested when necessary. Documenting of drugs and drug paraphernalia on scene is valuable but no first responder should handle any materials.